On November 23, 2009, the Court of Appeal, Fourth Appellate District of California (which includes much of San Diego and Orange County) handed down an opinion which helped injured Californians seeking full compensation for injuries caused by others. The opinion, Howell v. Hamilton Meats & Provisions, Inc., declined to follow the insurance industry’s argument that injured people can only collect monies for the reduced amount of their medical bills negotiated by their health insurance companies. The Court upheld the “collateral source rule” that a negligent person must pay for all the harm they caused–including the full amount of medical bills charged by the health care providers–and cannot obtain the benefit obtained by the injured person’s health insurance (the “collateral source”, i.e., a source of payment other than the negligent person. The Howell case involved a car vs. truck accident where San Diego County resident Rebecca Howell was hit by a commercial truck owned by Hamilton Meats and driven by their employee. As a result of the auto wreck, Ms. Howell was admitted to the hospital and received subsequent treatment from her doctors in the total amount of over $189,000 which included a fusion of the vertebrae in her neck. At trial, Hamilton Meats admitted liability for causing the accident but disputed the amount of damages that Ms. Hamilton was seeking for compensation (this is very typical). After the trial, the Vista, CA jury awarded Ms. Howell nearly $690,000, including her $189,000 in medical bills. After the rial, Hamilton Meat’s attorneys sought to reduce the amount of the verdict by arguing that the true amount of the medical bills was $59,000 and not $189,000 after her doctors agreed to accept reduced payments from Ms. Howell’s health insurance carrier. Typically, doctors will agree to a reduced payment from a health insurance company so that the total amount paid for care is not the face value of the bill. They do this for a variety of reasons, including having the benefit of being an approved doctor (and receiving a pipeline of patients) and receiving “in-kind” benefits such as equipment and supplies. The trial court granted the reduction under a line of cases commonly known as Hanif/Nishihama. 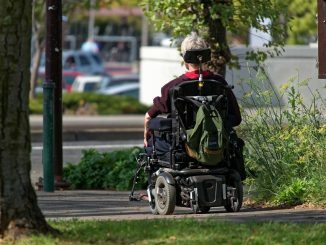 During the last five years, the insurance companies have convinced the trial courts that this line of cases allowed for post-trial reductions in jury verdicts despite the fact that the collateral source rule clearly stated that injured people can collect the full amount of their medical bills. The collateral source rule had been California law for nearly 40 years before the Howell decision was handed down earlier this week. The Appellate Court decision reversed the Hanif/Nishihama rulings and clearly states that the collateral source rule is California law. This is perhaps the most important ruling in favor of injured Californians in the last 5 or 10 years. The insurance companies had used Hanif/Nishihama to ratchet down settlement offers and to reduce jury verdicts. Now, with Howell, injury victims who had the foresight to obtain health insurance prior to their accident will not find themselves penalized for doing so in court. We want to salute and thank the San Diego, CA personal injury lawyers who fought for this victory. 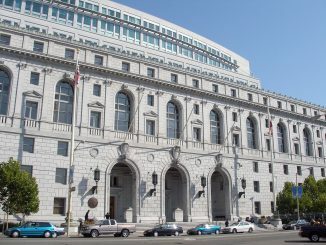 The California Court of Appeals for the Fourth Appellate District recently handed down a decision in the case of Gonzalez v. Southern California Gas Company that can only be described as questionable at best and destructive to the rule of law at worst. A young girl died after her car hit a gas meter that was along the side of the road and not properly covered as required by federal law—a law that was created due to the foreseeability of accidents like this one. The jury ruled in her favor, but the Court of Appeals decided to reverse the verdict, leaving her family without justice. What makes it worse is that the Court decided NOT to publish their opinion for official review and authority—an indication that the justices may have realized that their ruling was unsupported by existing case law. Our San Diego injury lawyer website recently wrote a brief article detailing the events of this defective products lawsuit and why this is important to everyone to read and understand. The Court decided not to provide the public with protections that previous courts and Congress had intended gas companies to install. Please read our article on this outrageous tort reform opinion for the full story. The California Court of Appeals Recently Handed Down a Horrible Tort Reform Opinion Affecting All Californians Injured by Dangerous Products. Here is How this Court Ruling Will Limit Your Legal Rights. Recently, our office heard about an unfair decision involving a fellow San Diego dangerous products lawyer that was handed down by the Fourth Appellate District of the California Court of Appeals in the case of Gonzalez v. Southern California Gas Company. It involved a 17-year old girl who was killed when her car veered off the road and struck a Southern California Gas Company (SCG) unprotected gas meter which was located 11 feet, 4 inches from the curb along the road. Upon impact, the gas meter exploded and caused a fire that engulfed her vehicle. Although she was able to escape the burning vehicle, she later died from burn injuries which engulfed 80 percent of her body’s surface. Prior to the accident when the gas line was first installed, SCG was required by federal law to protect the gas line from foreseeable collisions. The tragic part of this incident is that had SCG protected the gas line as it was legally required to do so, the girl would have only suffered a cut lip. The case went to trial and the jury found that SCG had a duty to protect the victim by coving the gas line and that it’s failure to do so was a substantial factor in causing the girl’s death. SCG predictably appealed this decision to the Court of Appeals in California. But in a shocking turn of events, the Court decided to overturn the family’s wrongful death verdict and stated that SCG did not owe a duty to protect the gas line. The court wrongfully stated that this type of collision was “not foreseeable,” therefore, the jury verdict was disregarded and SCG was not held liable. What the Appellate Court did was wrong, and even worse, their decision runs afoul of previous California decisions. There are three separate cases that this Court decided to distinguish its’ opinion from, including the Californai Supreme Court opinion in Bigbee v. Pacific Tel. & Tel. Co., 34 Cal.3d, 49 (1983). Most cases of this magnitude are published so courts and attorneys can cite to it. Case precedent is important because the public needs to know what the law is, and how courts interpret the law. However, in shocking fashion, this Court decided NOT to publish their opinion for others to see. It would be one thing for the Court to publish their opinion to the public and allow it to stand up to public scrutiny and review, but the Court (for whatever reason) decided a case that contradicts prior case precedent should not be published. My opinion is that the judges knew that their decision was wrong and without basis and they did not publish their ruling in hopes that it would not be challenged. So why should this Appellate Court opinion matter to you? For starters, it proves that the Courts do not always do the right thing. Judges are humans too, so sometimes they do not always come to the right decision. This is why it is important that you hire an attorney that is willing to fight and speak out when a Court makes bad decisions. Fortunately, the trial attorneys for the victim’s family is appealing the Court of Appeals ruling to the Supreme Court. We hope that the Supreme Court accepts their appeal and overturns this poor ruling. Often times, people who have had their car damaged in an auto accident do not take pictures of their property damage, instead of leaving it to the insurance company (either theirs or the at-fault driver’s) to document. Do not fall into this trap! It is always important to maintain control over any and all evidence that will help your case. The reason why is because you do not want to risk the possibility that the insurance company, in an effort to dampen the evidence against their insured, will use a photo editing software like Adobe Photoshop to alter pictures of your vehicle thereby giving the impression that the traffic collision was not so severe. If trained professionals can reduce the diameter of a woman’s stomach, torso, and legs, what do you think they can do to that dent in your car’s bumper? Photoshop is a very useful tool in the hands of the insurance company to make small, but significant collisions seem as if no property damage was incurred. Now, the Courts are realizing that today’s digital images are not the old photographs of old–they can be altered on the fly and very easily. Recently in the criminal case People v. Khaled, the appellate court ruled that a red light traffic ticket must be overturned due to a conviction based upon unsubstantiated photographs taken by a camera at an intersection. The Court ruled that where the prosecution failed to lay the foundation for the photographs by submitting testimony establishing when and how the photographs were taken and that they were not altered. The Court ruled that the hearsay rule will exclude the evidence barring testimony laying out this foundation. It is good that the courts are finally starting to recognize the ease to which photographic images can be altered and that the old business records exception to the hearsay rule cannot by itself allow for the introduction of photographs into evidence. However, what this should mean to you and to any other member of the public, is that it is better not to even give the insurance company an opportunity to alter photographs of your vehicle. The only way to do so is to make sure that you have taken pictures of your car so that you can keep the insurance company honest. 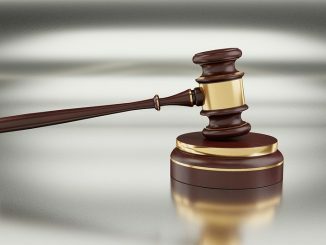 On Friday, the California Court of Appeals denied State Farm Insurance’s Petition for Writ of Mandate seeking to have the trial court issue judgment in favor of the insurance company. 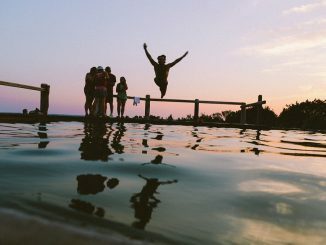 At issue in the case, titled State Farm Fire and Casualty Co. v. Superior Court, was whether the trial court erred in ruling that State Farm owed a duty to defend its’ insured from a lawsuit for personal injuries where its’ insured threw the victim into a pool, landing on an exposed step. An insurance company’s duty to defend it’s insured is extremely broad. It is broader than the duty to pay a covered loss. The duty to defend applies to any claim that could possibly involve a covered loss. In this case, the insureds’ 21 year-old son, who lived with the insureds, argued with another young man, Mr. Wright, at a party. When Wright went outside, the son grabbed Wright and picked him up and threw him into the shallow end of the swimming pool. Wright landed on the pool’s concrete step which was above the water line. As a result of this action, Wright fractured his right clavicle and was hospitalized for four days. The son apologized immediately to Wright and claimed that he was just horse-playing. The son was later arrested for the incident and pled nolo contender to misdemeanor battery. The claim against you does not meet the insuring agreement in the policy, as the actions do not arise out of an accident. Also, the policy specifically excludes damages which are either expected or intended by the insured or the result of willful and malicious conduct.” In short, State Farm treated the son’s actions as a willful assault rather than mere horseplay. The Court of Appeals upheld the trial court’s ruling that State Farm acted improperly when they denied the parents with a defense to Wright’s claims. The Court found that under the stipulated facts, an “accident” did occur which would give rise to the duty to defend. The Court held that although the son intentionally picked up Wright and threw him at the pool, the son did not intend or expect the consequence (that Wright would land on a step). Therefore, the duty to defend existed because Wright’s injury was neither expected nor intended by the son, nor was it the result of a malicious act by the insured. In February of this year, the California Court of Appeals extended the protections afforded to medical doctors under the Medical Injury Compensation Reform Act (MICRA) to emergency medical technicians (EMTs) who are in the process of transporting patients for medical care. In the opinion by Justice Madeleine Flier, the Court of Appeal held that such protections were warranted since the services provided by EMTs were “inextricably identified” with the health and medical care of their patients. Further, the Court rejected the argument by the plaintiff, a Los Angeles police officer injured while riding along in the ambulance when it was involved in a collision, that MICRA protections could only be extended to those services to which an EMT was licensed. 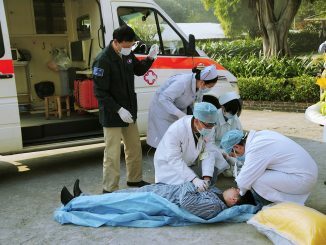 The court held that EMTs were licensed to provide transportation by the Department of Motor Vehicles’ special license and, therefore, were still protected by MICRA when involved in traffic accidents while transporting patients. Can an Insurance Company Hide Witness Statements? What happens if you are involved in a car accident in California and the at-fault driver’s insurance company takes recorded statements of witnesses to the accident? Can you review them during your personal injury lawsuit? The California Court of Appeals recently ruled in the case of Coito v. Superior Court that such statements are discoverable and must be turned over to the other party. Are Witness Statements Protected by Attorney Work Product Privilege? 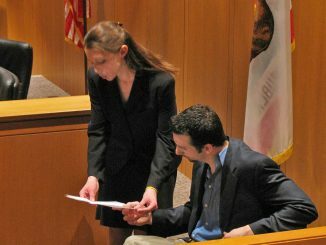 Are witness statements collected at the scene of an accident or by your personal injury attorney following an accident subject to the protections of the attorney work-product privilege–a privilege which allows injury accident victims to keep these statements confidential and away from the hands of insurance companies and their lawyers? The issue was recently tackled by the Court of Appeal for the Fifth Appellate District of California in the case of Coito v. Superior Court. The Court was asked to determine whether a statement of a witness to an accident by an attorney is protected by the work product privilege. The Court held that such statements are not protected and can be discovered by opposing counsel during discovery. The Court distinguished the case of Nacht & Lewis Architects, Inc. v. Superior Court holding that Nacht & Lewis did not hold that a list of witnesses from whom statements had been taken, nor the statements themselves, were privileged. Such statements have very important evidentiary value, including containing inconsistent statements, prior consistent statements, or past recollections recorded–all of which would be admissible at trial. However, were these statements to be protected by the attorney work-product privilege, the opposing party could not have access to these important pieces of information and evidence. The Court also rejected a qualified attorney work-product privilege defense–in other words that in certain circumstances and with certain limitations, the privilege would exist. The Court held that a recording or document which shows the attorney’s thoughts and interpretation of the evidence and case was protected by the privilege. However, in most cases where the attorney or his representative is simply asking questions and the witness responses are simply answering those questions, then the privilege would not attach. The statement would not contain any interpretive input from the attorney. The Court also rejected the argument that the selection of the attorney’s questions itself was interpretive–the statements had evidentiary value only. What this means, for people injured in accidents in California and the insurance companies who oppose them, is that witness statements are discoverable absent an affirmative showing that the statement contains protected interpretive analysis by the attorney. Know all those HUGE, “outrageous” verdicts that tort reformers cite as proof that juries are out of their minds and are too plaintiff-friendly? This is the story of one such verdict and, unfortunately, it is not unusual. In 2004, a San Diego jury awarded Benetta Buell-Wilson and her family nearly $370 Million dollars in a Ford Explorer roll-over auto accident case. Now, the Supreme Court will review the verdict and possibly reduce it. The Supreme Court will be the third court to do so after the trial court and the Fourth District Court of Appeals both reduced the verdict from $122 Million in compensatory damages and $246 Million in punitive damages to $27.6 Million (compensatory) and $55 Million (punitive). On a January afternoon in 2002, Buell-Wilson was driving at a normal speed on Interstate 8 east of San Diego when she swerved to avoid a metal object that had fallen off a motor home. Her 1997 Explorer fishtailed and rolled over four times. Part of its roof was crushed, and Buell-Wilson suffered a severe spinal injury. As a result of the accident, Benetta is now paralyzed and confined to a wheel-chair. Now, Ford had previously won 13 trials without a loss. And they weren’t shy about sharing that fact during litigation in the hopes of forcing Benetta and her husband to settle. Plaintiffs were 0-13 and Benetta and her attorneys were risking a huge disappointment. These cases are not cheap to try. I’ve heard some estimates that Benetta’s attorneys paid upwards of $750,000 to experts to prepare and try the case. And if they lost, the lawyers would lose that investment, Benetta would be forced to pay for all future care by herself out of her own pocket, and, worse still, Benetta would be forced to pay Ford’s litigation costs. Given all this risk, and the evidence that Ford knew of problems with its’ vehicles for roof crush and roll over propensity, is $370 Million dollars outrageous to pay for a permanent injury and to punish Ford for its’ callousness? No recall has ever been ordered for these vehicles. How many are still out on the road? How many more roof crush injuries or deaths will still occur? Will Ford EVER be forced to pay enough that they will consider the safety of their customers? The Supreme Court should uphold the reduced verdict. Ford is already emboldened by the two prior reductions. No need to make it worse for consumer safety. 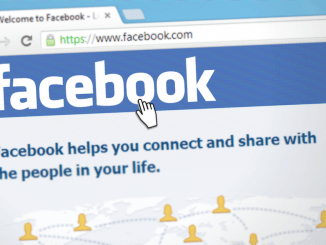 Will California Courts Force San Diego Personal Injury Victims to Disclose Private Facebook Information? Recently, an Ontario, Canadian court held that parties to a civil lawsuit must disclose social media posts and information during discovery–even if the user believed the post was made privately to his “network”. We look at the ruling and whether California judges will require the same disclosure from San Diego injury victims. A San Diego jury awarded the widow of a motorcycle rider and his two children $4.9 million after he was struck on a motorcycle by a truck driver. After the verdict was read, the judge–as is typical–polled the jurors for their votes. However, the judge forgot to get the answers from one juror to two of the 13 questions asked during the polling process. The juror did agree with the other jurors that the truck driver was negligent and caused the trucking accident. However, the judge forgot to ask him if he agreed with the other jurors on the apportionment of damages. The jury verdict found to the truck driver to be 80% responsible for causing the accident but also found the motorcycle rider to be 20% responsible. …the trial court erred in accepting the juror declarations to inquire into and resolve the results of the jury’s decision making process, and also when it made a credibility determination that Santana could not effectively have voted other than 80/20 at any relevant time. The Keeners, the family of the motorcyclist, have appealed to the California Supreme Court to reinstate the jury verdict. Last week the California Supreme Court ruled that California consumers cannot bring “preemptive” lawsuits–lawsuits that are brought to stop an injury before the injury actually occurs–for violation of state consumer law. 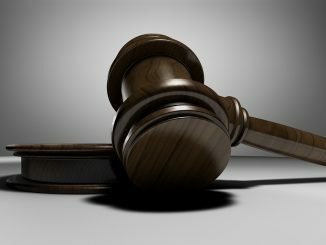 The Court ruled that only people who have suffered an actual injury can bring suit under the California Consumer Legal Remedies Act. The ruling came in a case named Meyer v. Sprint Spectrum LP. What does this mean for San Diegans? It means that even if it is all but certain that you will lose money or suffer some other type of injury from a business’s conduct, you cannot sue to prevent that injury. You must first suffer the injury, then you can sue. In the case, consumers brought suit against Sprint to prevent Sprint from charging them early termination fees and to change the arbitration provisions contained in the phone service contracts. However, because the consumers had not yet incurred the early termination fees, the Court ruled that they could not bring suit.